Are you bored with being sensible? Do you want to have more fun? Mr. Tiger knows exactly how you feel. Fed up of tea parties, top hats and talking about the weather, he astounds his friends when he decides to go... WILD. But does he go too far? After all, the wilderness can get pretty lonely. 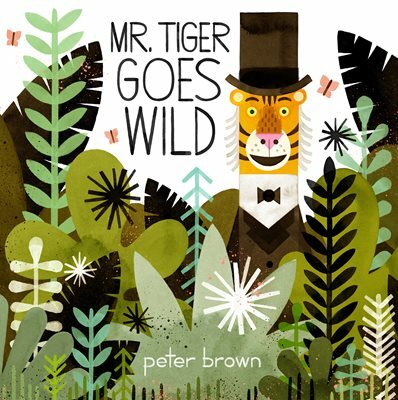 Mr Tiger Goes WIld is a beautifully illustrated and brilliantly funny book from Caldecott Honor-winning artist Peter Brown shows that there's a time and place for everything... even going wild. Peter Brown is also the creator of many other books including the fantastically funny My Teacher is a Monster. This is the story of a tiger who needs to fulfill his deepest needs and desires. But can he do so without losing his friends? Graphically stunning, this book might well drive you completely wild!